The largest transaction—a $165-million non-recourse mortgage loan—is collateralized by 85 assets owned by subsidiaries of SMTA and leased to Shopko that are held outside of the company’s Master Trust. 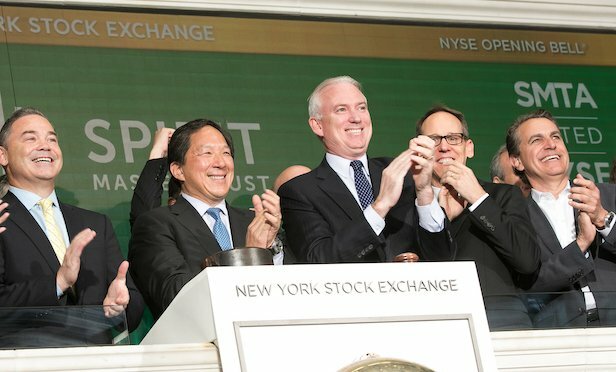 Officials with Spirit MTA REIT rang the opening bell at the New York Stock Exchange on June 25, 2018, to celebrate the company’s recent completed spin-off and listing on the NYSE. The company began trading on the NYSE on June 1, 2018 under the ticker symbol “SMTA,” following its spin-off from Spirit Realty Capital, Inc.
DALLAS—Spirit MTA REIT (SMTA) reports it has closed two critical financial transactions totaling $215 million. John Jordan is a veteran journalist with 36 years of print and digital media experience. While pursuing more growth outside the US, WeWork's program for mid-sized companies continues to expand in Manhattan. Kensington Development and IM Properties revealed a roster of new tenants, plans for a multifamily component and a new name for the 26-acre property, Sawmill Station, located at the southeast quadrant of Dempster Street and Waukegan Road. Summit reports that the six hotels traded will produce a net gain of $36.6 million. The six hotels in the markets of Minneapolis-St. Paul, Boston, Santa Barbara (CA), Dallas and Salt Lake City totaled 815 rooms. Can Artificial Intelligence Really Predict When a Tenant is About to Leave? Artificial Intelligence (AI) is transforming what’s possible in CRE. Learn how this innovative technology is allowing property managers to predict a tenant’s behavior, streamline resources, and reduce costs. Don't miss crucial news and insights you need to make informed commercial real estate decisions. Join GlobeSt.com now! Free unlimited access to GlobeSt.com's trusted and independent team of experts who provide commercial real estate owners, investors, developers, brokers and finance professionals with comprehensive coverage, analysis and best practices necessary to innovate and build business. Exclusive discounts on ALM and GlobeSt events. Access to other award-winning ALM websites including ThinkAdvisor.com and Law.com.